We all know that sleep is important. But a new study from the US suggests that sleep – or rather bedtime – is even more significant than we thought. Researchers from the Ohio State University found that children aged three to five who consistently went to bed before 8pm were less likely to be obese as teenagers. Conversely, they found that delaying a child's bedtime until 9pm or later doubles their chance of becoming obese. Dr Sarah Anderson said that the study reinforces the importance of a good bedtime routine. "It's something concrete that families can do to lower their child's risk and it's also likely to have positive benefits on behaviour and on social, emotional and cognitive development," she said. Researchers working on the study used data from 977 children in the Study of Early Child Care and Youth Development, which followed babies born in 10 different US cities in 1991. Researchers divided bedtimes into three categories: 8pm or earlier, between 8pm-9pm and after 9pm. Preschoolers' bedtimes were linked to obesity when the children were teenagers, at an average age of 15. The study found that just one in 10 of the children with the earliest bedtimes were obese as teenagers, compared to 16 per cent of children who went to bed between 8 and 9pm. Of children with the latest bedtime (after 9pm), 23 per cent were found to be obese by the time they were 15. Dr Anderson said she focused on bedtimes because they have a greater impact on the duration of sleep than the time children wake up. However, Dr Anderson also notes that bedtimes can be very fraught. "It's important to recognise that having an early bedtime may be more challenging for some families than for others," she said. "Families have many competing demands and there are tradeoffs that get made. For example, if you work late, that can push bedtimes later in the evening." Vicki Dawson, the founder and CEO of The Children's Sleep Charity, told The Huffington Post UK that sleep is vitally important to support children's development. "We welcome research that explores the impact of sleep deprivation on children's physical, emotional and mental wellbeing. "Establishing bedtime routines is important to encourage good sleep habits and to prevent sleep issues developing. Children who sleep well are more able to fulfill their potential and lead healthy lives," she said. Dawson also said that childhood obesity is a "significant" concern and that it is important to recognise that sleep plays a role. 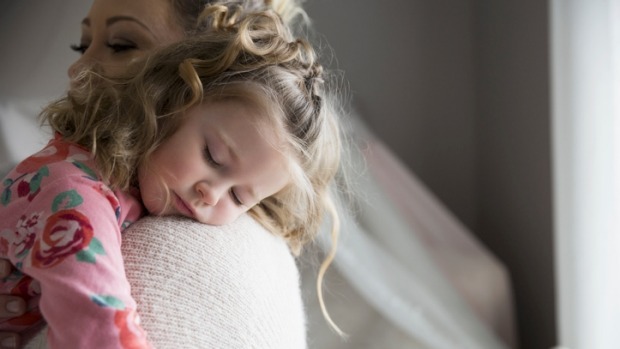 "It is vital that an holistic approach is taken to childhood health and specialist support made available to families experiencing sleep issues," she explained.